Knee joint is an anatomy marvel. It is the largest joint in the body that is also strong enough to bear the majority of body weight and allow a wide range of movement that includes walking, running and climbing. Knee joint is specially designed to also allow motion such as a backward walk. Further, it allows a limited sideways and pivoting motion that provides just enough flexibility to walk on uneven surfaces. Knee joint comprises of multiple parts that work beautifully in tandem to support the above functions. Articular cartilage is the cushion that sits between the longest bone and the tibial head which is below the knee. Lateral and medial meniscus makes the hinge motion possible while ensuring that the knee does not bend forward by providing a doorjamb constraint. 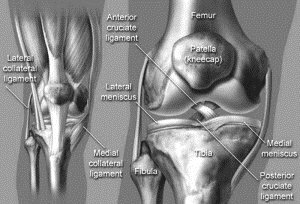 Ligaments such as anterior cruciate ligament prevent the forward slip and abnormal pivoting of the knee, while the posterior cruciate ligament ensures that femur and tibia are in alignment. Knee cap sits over the knee joint to protect the joint and connects the muscles in front of the thigh to the tibia. Thus, bones, cartilage, ligaments and tendon all work together to allow us the walk that makes us human! Gradual damage or weakening of various parts in the knee joint can occur as a result of aging, injury or illness. Mild injuries and shocks can occur during sports. In most such cases, recovery takes place on its own with some rest and pain relief medications. Immobilization of the knee joint may also be suggested by the orthopedic doctor or physiotherapist in some cases. Very rarely, the injury may be of serious nature and may require a more advanced treatment such as prolonged physiotherapy or surgical interventions. Many times, when the damage is caused by mild injuries or shocks, the knee joint is strong enough to recover with some rest. At times, immobilization is also suggested to allow healing. However, when the injuries are of a serious nature, other forms of interventions are considered, that can range from an extended physiotherapy to surgical intervention. In below article, we have listed most common causes for long-term knee pain. As also described in the above article, one of the most common causes for long-term knee pain is age-associated damage to certain parts of the knee such as the articular cartilage that acts as a cushion between the upper and the lower bone. According to the estimates available with WHO, it is estimated that nearly 10-12 percent people above 60-65 years of age suffer from some degree of knee arthritis. 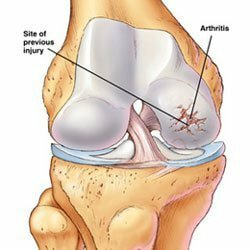 Among the people having knee arthritis, almost 80 percent have some form of immobility which means less than normal ability to walk, run or perform other activities without any pain or discomfort. Wear and tear of the articular cartilage are mostly due to the effect of aging but can also be triggered when a person suffers from a serious injury. The chances of a person developing knee arthritis include being overweight, occupations that have excess knee bending or standing, Vitamin D deficiency and hereditary factors. We have covered more details about arthritis including risk factors, probable reasons for developing knee arthritis here in this article. In this article, we will focus on multiple home-based remedies that can help in reducing the pain and help with preventing further damage. It is quite understandable that no one would prefer to undergo an advanced and aggressive treatment option such as a knee replacement surgery unless no other option is left. Key to managing arthritis is to recognize that even though the condition may not be fully curable or reversible, simple options can still provide the benefits. As we have already talked about how the knee joint bears the majority of body weight, if one is able to reduce the body weight even by a few kilos, it translates to a tremendous benefit in form of reduced pressure on the knee joint. It is proven by medical research that weight loss achieved through diet control and moderate exercise can slow down the damage to the articular cartilage. We have covered the available medical evidence in this article below. Switching to high fiber plant-based foods and cutting down on calories by reducing normal carbohydrate-rich foods such as rice, and performing exercises that help burn the calories as well as increase the metabolic rate can help with weight loss. The complex anatomy of the knee joint means many different tissues work together to make movement possible. Certain exercises that help to strengthen muscles such as the hamstring and quadriceps help in reducing the pressure on the knee joint. In this article, we talk about 5 simple exercises that can be done at home. Apart from these, there are a few more advanced exercises that can be tried once you feel that knee is gaining strength. We would soon be covering information on those exercises in a subsequent update of this article. It would be helpful to stay in touch by liking our Facebook page through this link. Exercise helps in multiple ways. First, it helps to burn extra calories that in turn will help in weight loss. Second, exercises help in increasing the flow of blood to various parts of the body, including the knee joint, which will help in replenishing the joint and muscles and reducing the inflammation. Swimming and other upper body exercises can be considered. Some exercises can be done in a sitting position that helps to avoid the stress on the knee joint. While performing any of the exercises, it is important to note that the knee joint is not being overused. If you are trying weight exercises, consider sitting on a chair or an exercise bench to keep the joint safe. Certain simple changes to the lifestyle can help reduce the discomfort. A daily exposure of Sun on bare skin for 20 to 30 minutes is very helpful as it helps trigger the formation of Vitamin D, which helps to keep the bones strong. The inclusion of food that can meet the calcium needs of the body is also recommended. Here are some of the most commonly available Calcium-rich foods. Try to limit activities that cause the knee to bend or twist or where you are standing for long durations. While climbing the stairs, it is a good practice to use the knee that is stronger, and while coming down, use the knee that is weaker, taking the support of the handrails. If you consider it acceptable to your age, you can also look at the various walking-aid options that can help by off-loading some pressure from the knee joint. A good option is to use a stick that can be easily folded when not required. There are several options available for an online purchase such as this stick from Indo Surgicals. It is a light-weight and easily foldable stick that can be kept in a purse when not required. Intake of alcohol and soft drinks should be avoided to the maximum extent possible. If your work requires you to sit for long hours, consider buying a footrest. A footrest allows an easier flow of blood through the thighs to lower leg and helps in preventing fatigue. If you sit or stand for a prolonged period at work, make it a habit to take a break every 30 minutes without fail. Wearing footwear such as high heels is to be avoided. Consumption of certain natural spices and foods such as turmeric, garlic etc. is known to reduce the inflammation, which helps to slow down the damage in an arthritic joint. A very good way to have extra turmeric beyond what is normally consumed in food is to prepare turmeric milk. A teaspoon of turmeric can be mildly fried in a teaspoon of Ghee and subsequently, a cup of milk can be added. Other foods such as Garlic or Ginger are also anti-inflammatory in nature and can be tried. Flaxseed is also known to help in reducing inflammation. Organic flaxseed can be consumed in powder or tablet forms. Multiple options exist as per your taste and preferences on Amazon. Here is an informative article on foods that help fight inflammation from Harvard Medical School. Consumption of oils such as the Olive oil and coconut oil can also be considered as these are known to curb inflammation. Few natural oils can help soothe the knee and reduce pain through a topical application. There are many choices available in the market and can be tried. One of them is Kerala Ayurvedic oil called Murivenna which is a popular Ayurvedic remedy for arthritic pain. Certain natural oils such as the coconut oil can be used topically as well to ease pain. Lavender oil can also be tried to soothe the pain. Other options to try are flax seed oil and eucalyptus oil etc. These may be locally available at herbal or Ayurvedic stores but if not, you can also try purchasing high-quality oil through Amazon. Similarly, there are other oils such as Dr. Ortho which can be tried. As long as these oils are natural or an Ayurvedic preparation from a trusted brand, it may be definitely all right to give them a try before going for allopathic medicines or treatments. A warm pack is useful to provide comfort from pain relief when the knee joint has not been moved for a good amount of time and you feel the stiffness in the joint. This may happen during the morning hours when you wake up. Application of warm pack results in higher blood flow to the joint and relief in pain. Later in the day or after some activity, one may feel more pain and swelling in and around the arthritic knee joint. At such times, a cold pack can be applied to provide pain relief and reduce swelling. Nowadays, a few good options are easily available to try to help ease the pain and provide support to the knee during movement. One such option is a protective warm covering over the knee joint called the Knee Cap. It provides warmth, mild compression and support to the knee joint. You can purchase these very easily from various online stores. One such product available with the HealthClues health shop is accessible through the below link. It is a high-quality branded product manufactured by Tynor. It is a great pain relief product that can be put on after applying any pain relief ointment on the knee. The product is made of a material that gives a long-lasting durability. It is a superior product which is designed keeping in mind the knee anatomy to allow free movement of the knee and ensure that there is no undue pressure on the little bone in front of our knee called the patella. Few other products are also available which are related to the knee cap, such as the one with a patellar ring. When you purchase a product through HealthClues, you not only get the product in the best price in the market, but you also become eligible for a free consultation worth Rs 250 with one of our doctors. You can use this benefit to get an advice on medications for short-term pain relief or suggestions on suitable exercise and diets. In case you prefer to purchase through Amazon itself, same or similar quality products are also available through Amazon as mentioned below. If your knee joint is in a stage where you need a stronger support to keep it straight and protect it from bending sideways, another product is available that helps in this goal. Use of the above products can help you avoid or manage the knee pain without going for other alternatives such as allopathic pain relief medications that have their own side effects in prolonged usage scenario. The aim is to extend the life of the knee joint for as long as possible so more advanced treatments such as a knee replacement can be avoided or delayed for as long as possible. Stress is a modern day reality that impacts almost everyone, but there are ways to keep it in check through a combination of meditation and exercises. In addition to these de-stressing mechanisms, a good night’s sleep is critical to give rest to your body and mind. An elevated stress level generally adds to the inflammation level in the body, which may worsen the joint pain and causes multiple other health issues. A balanced diet, exercise, and sleep are important to keep the stress in control. A fact that most people tend to ignore related to stress is that our thoughts have a deep impact on our well-being. Negative thoughts about oneself or anyone else actually cause the stress levels to go up in our body. Just like every action has a reaction, a negative thought actually kicks back to cause harm to one’s body. So, next time, as soon as a negative thought comes to your mind, remind yourself to get over it as quickly as you can. The importance of keeping a clean bowel movement lies in the fact that undigested food leads to accumulation of toxins in the body that can add to inflammation. Eating a sufficient amount of high fiber foods, fruits and vegetables will generally help to keep a healthy and clean gut. Avoid oily foods or very high protein diets and keep the food very light in the evening. Cold water should never be consumed after eating food. Likewise, avoid consumption of soft drinks in general but certainly do not take them along with food. If you have a problem with constipation, certain Ayurvedic or herbal remedies can be tried at home. Even though it is believed that once arthritis has set in, complete cure or reversal is not possible, but at the same time, it is very much possible to stem further damage by following above steps. 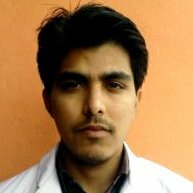 It is the wish of every person that advanced treatment like surgeries etc. are avoided as much as possible. As soon as the onset of Arthritis becomes known, the best approach is to take immediate steps to naturally prevent further damage so one can live an active life for as long as possible. Knee Pain, Osteoarthritis causes of knee pain, knee arthritis, knee pain, knee pain relief accessories. permalink.